series of production line before firing line inspection b. Production Lead Time: 30 to 50 days after cofirm the order. 2.Production Lead Time: 45 to 50 days after confirm the order. Packing & Delivery Packaging Details:Standard export packing . As buyer's request, nomal carton package, five layers exported flat carton with polyfoam inside or mail order package. With advanced equipment such as: E-saw,NC Multi-drill,Veneer Gluing Machine,Bending Machine,Punching Machine,Die Cutting Machine, Curve/Straight Two-side Gluing Edgebend Machine. All the color,material, size can be done as per your requirement. You drawings are Our designing team can also provide drawings as your requirement. With full enthusiasm and warm service, we wish to be your good partiner. (b)The more information you provide, the faster we would settle your enquiry. 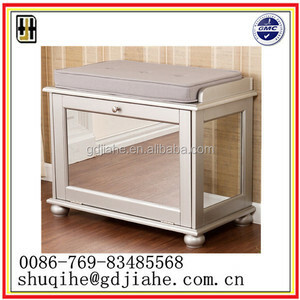 Q1:What is our main product9 A1:Our main product is metal bed, dining set, bar set, bathroom mirror, shelf and so on. 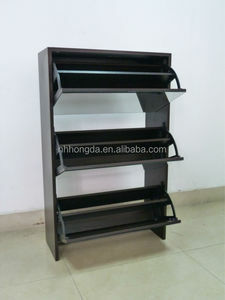 Q2:Can we provide customized service9 A2:We can provide customized service and we also accept OEM. Q 4 : Samples9 A 4 : If you need to sample for checking the quality, there are sample charge and courier freight, we will start sample after received the cost. Q 7 : Can we have our logo on the production package9 A7 : Yes, we can accept 2 colors logo printing on the master carton free of charge, bar code sticker are acceptable as well. But Color label need additional charge and Logo printing is not available for small quantity production. Foshan Wanghua Building Materials Technology Co., Ltd.
As wall mounted style, floor standing style, corner style. * LOW MOQ, one set for sample order is allowed for new clients. 4. Q:Change the color or size of products can be changed9 A: Yes. 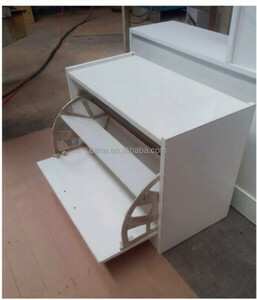 Weifang Jiahui Wood Co., Ltd.
shoe cabinet/shoe case/shoe rack/shoebox Specifications 1\material:MFC and MDF in cheap price 2\KD package & mail box package 3\professional service 4\any color with customized size WITH 6 YEARS EXPERIENCE IN EXPORTING MFC AND MDF FURNITURE TO EUROPEAN,AUSTRILIAN,SOUTH AFRICAN ETC MORE THAN 20 COUNTRIES. PROFESSIONAL IN CUSTOMIZED PRODUCT WITH HIGH QUALITY AND COMPETITIVE PRICE. LOCATED IN WeiFang CITY, ShanDong PROVINCE(NORTH OF CHINA,NEAR QINGDAO PORT) WITH RICH TIMBER RESOURCES,LOW COST OF LAND AND THE LABOR. 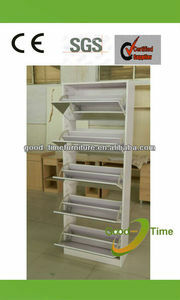 Alibaba.com offers 1,180 mirror wooden shoe rack products. 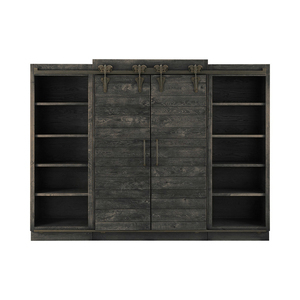 About 76% of these are shoe racks, 2% are display racks, and 1% are other metal furniture. 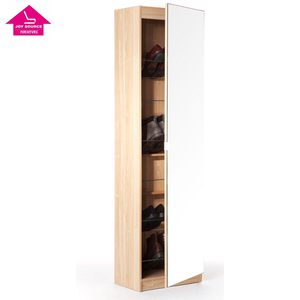 A wide variety of mirror wooden shoe rack options are available to you, such as wooden, bamboo, and metal. You can also choose from modern, antique. As well as from yes, no. 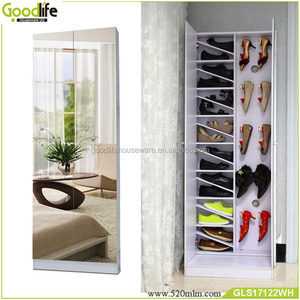 And whether mirror wooden shoe rack is free samples, or paid samples. 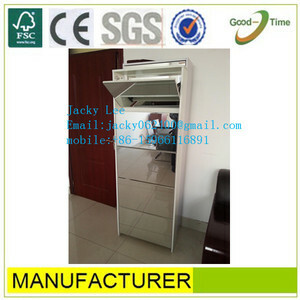 There are 1,188 mirror wooden shoe rack suppliers, mainly located in Asia. 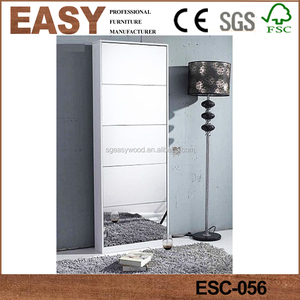 The top supplying countries are China (Mainland), Taiwan, and Indonesia, which supply 99%, 1%, and 1% of mirror wooden shoe rack respectively. 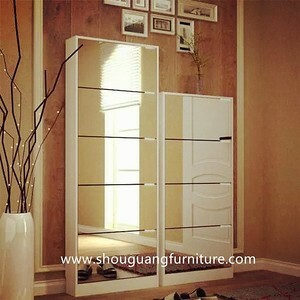 Mirror wooden shoe rack products are most popular in Mid East, Oceania, and Domestic Market. You can ensure product safety by selecting from certified suppliers, including 338 with ISO9001, 104 with ISO14001, and 100 with Other certification.